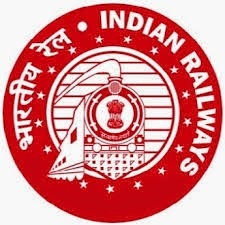 Central Railway Recruitment 2017 – 2196 Apprentice Posts :- Railway Recruitment Cell, Central Railway (RRCCR), Mumbai has published latest notification for filling up 2196 posts of Apprentice in various trades. Desirous & eligible candidates can apply online from 01/11/2017 to 30/11/2017. Age Limit: Candidates should have completed 15 years of age and should not have completed 24 years of age as on 01/11/2017. Educational Qualification: Candidate must have passed 10th class examination or its equivalent (under 10+2 examination system) with minimum 50% marks, in aggregate, from recognized Board and also possess National Trade Certificate in the notified trade issued by the National Council for Vocational Training. Starting Date of Online Application :01/11/2017. Application Procedure: Eligible candidates can apply online through website http://www.rrccr.com from 01/11/2017 to 30/11/2017. Subscribe our free job alert mail for Central Railway Recruitment 2017.